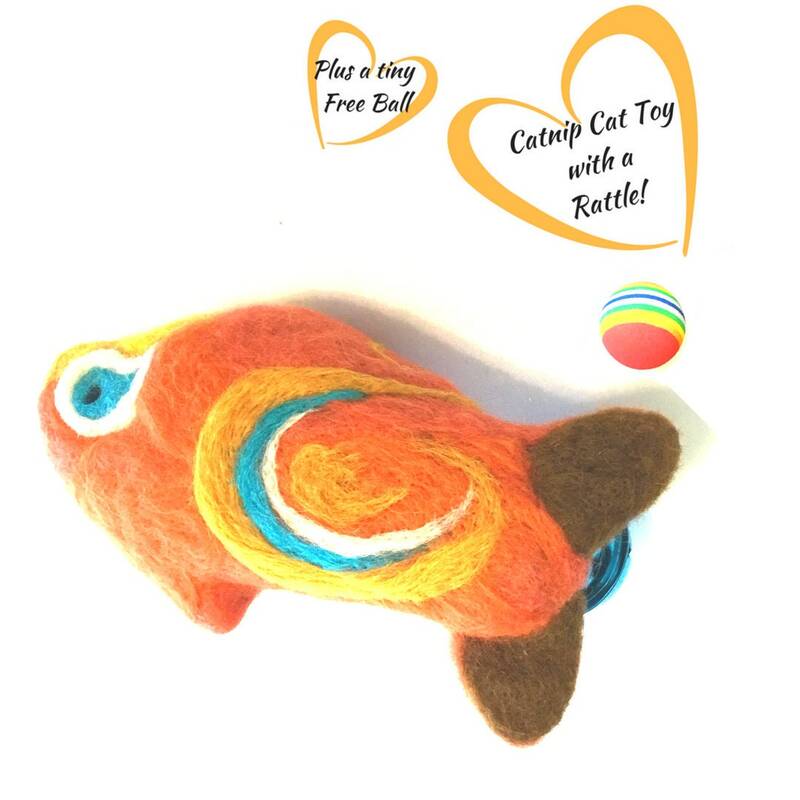 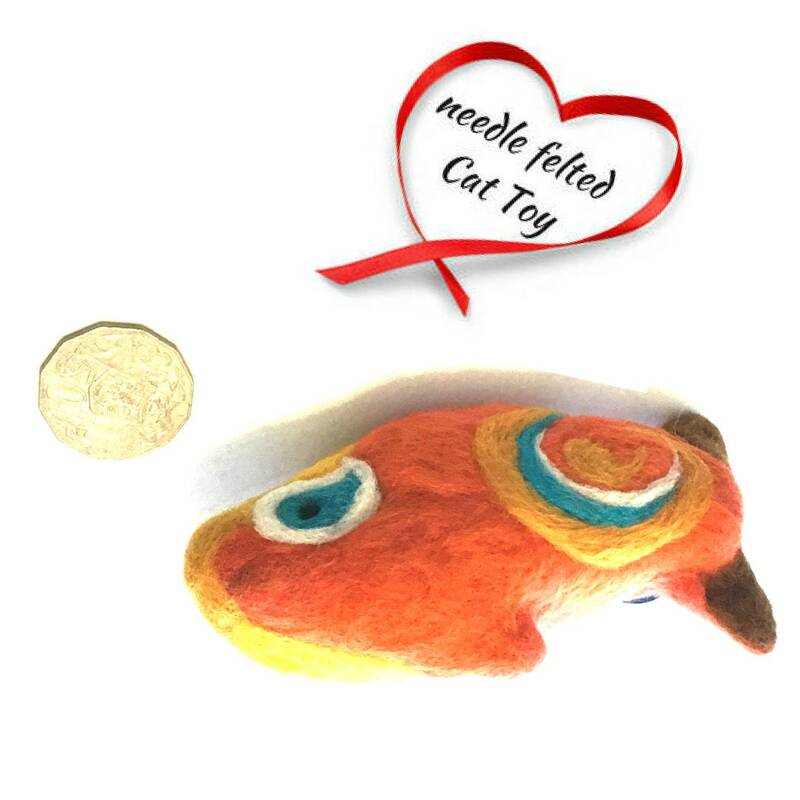 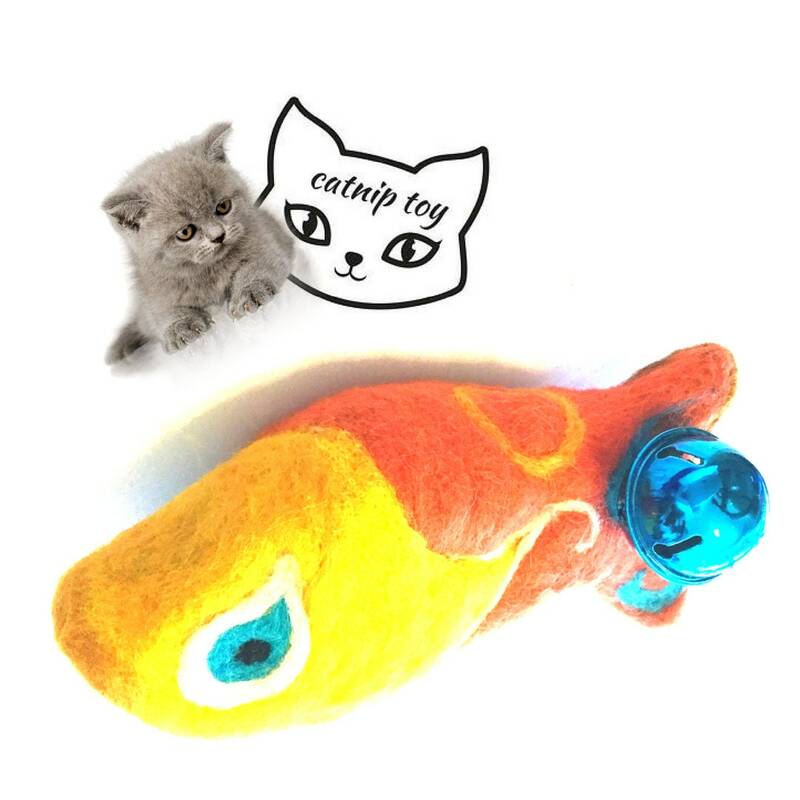 This catnip fish cat toy is needle felted with Australian merino wool, catnip and a soft rattle. 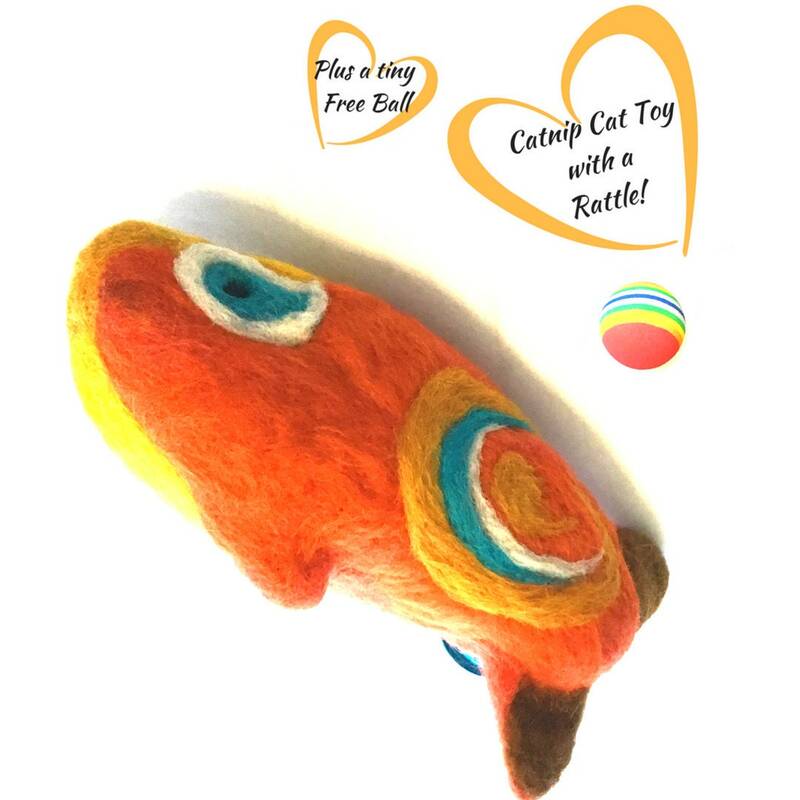 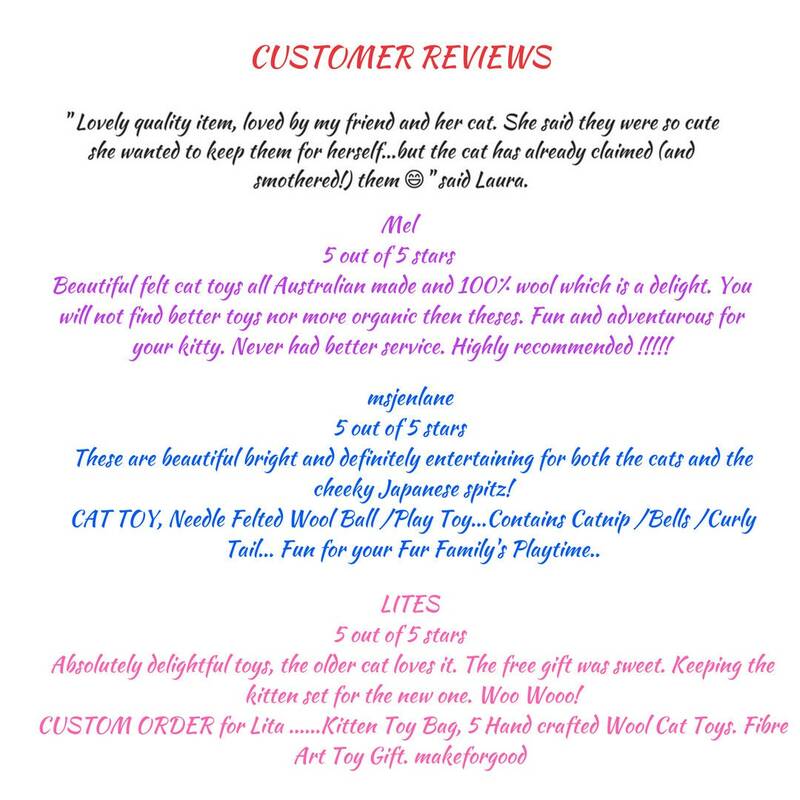 it has been felted with Australian Merino wool, in lovely bright colours mainly orange and yellow with a contrasting blue anodised rattle, you can be sure your cat will love! 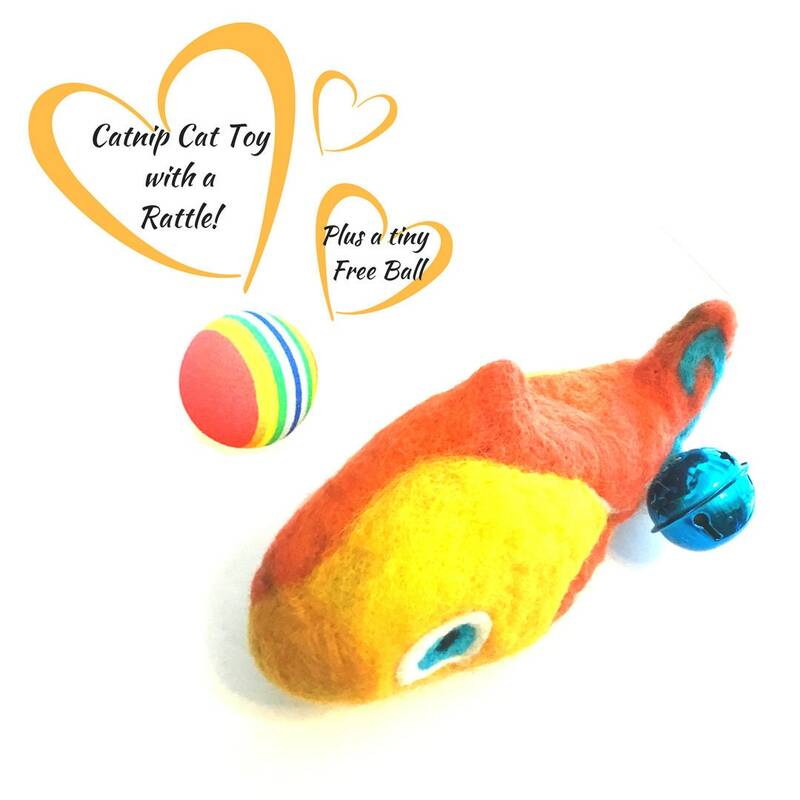 I have also added a tiny free ball as a gift. 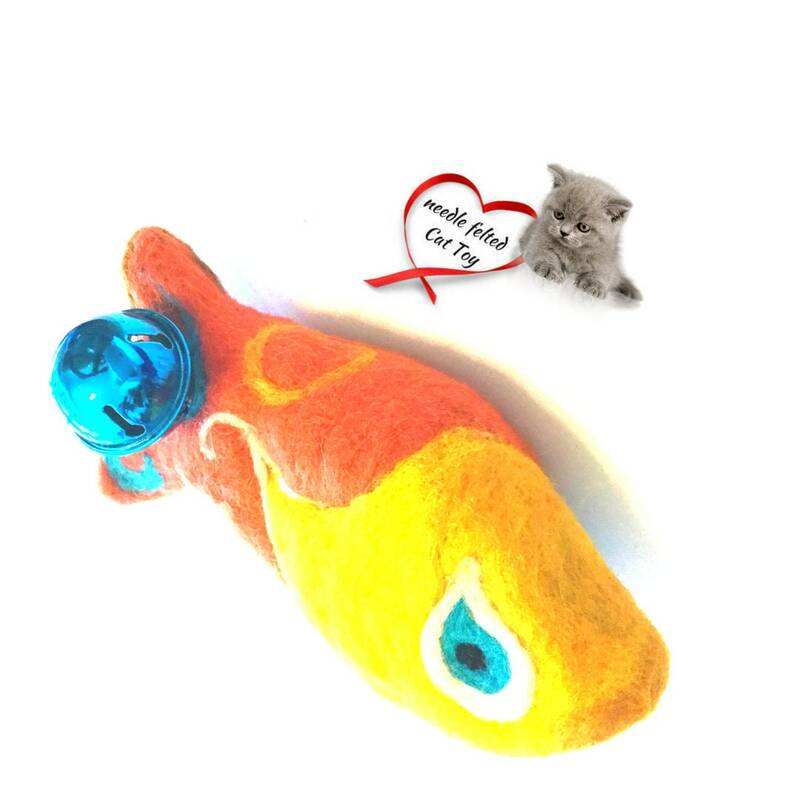 The size is 6" long and 2 1/2" wide and can be a cuddle buddy or throw toy.